The Luxembourg-based Societe Europeenne des Satellites (SES) provides telecommunications services to most of Europe via American-manufactured spacecraft. In 1989 SES acquired the incomplete Satcom K3 and modified it for the use as a european direct broadcasting satellite. 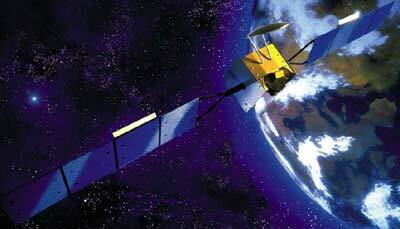 Astra 1B is based on Lockheed-Martin (GE Astro Space) spacecraft buses, a 1.5 metric ton AS-5000 series platform. Astra 1B has overall dimensions of 2.2 m by 2.2 m by 2.8 m with a solar panel span of 24.3 m and 4.9 kW. The spacecraft carries 16 active 60W Ku-band transponders.